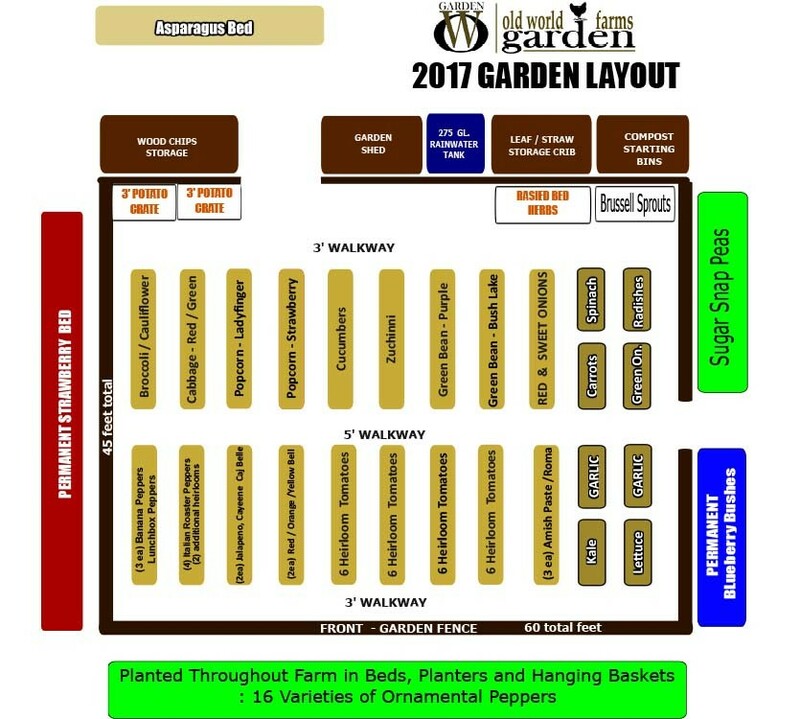 It’s time for our 2017 garden plan! To an avid gardener, creating a garden plan is like trying to paint a masterpiece. Or perhaps, attempting to write a prize-winning novel. For us, it has always been a great way to look to summer while the cold harsh winter stirs outside. It’s also a chance for us to dream of the wonderful things soon to grow from the soil. This year’s plan for our garden is all about celebrating and growing flavor! With our move to the farm now complete, and the last child heading off to college in the fall, the mass food production goals have taken a back seat. In its place – pure flavor! It wasn’t long ago that our entire garden plan was centered on feeding a family with four hungry teenagers. We could watch the jars of salsa, pickles, pasta sauce and more fly off the pantry shelves. And we had to plant and grow accordingly. But with those needs to produce huge quantities of food relaxing a bit, we decided to use this year’s garden space to try out a huge range of exciting varieties and flavors! One of the benefits of a raised row garden is that the plans can change every year, but the ease of planting, maintenance and harvest remain simple and easy. See : How To Garden With Raised Rows. With our move to the farm complete, our goal is to spend a lot more time outside. Time now spent cooking, grilling and eating straight from the garden. With that said, this year’s garden is all about celebrating flavor. We have included the plan at the very bottom in full size. We have included links for the seeds of what we will be growing at the end of each section. This years garden is chock full of heirloom tomatoes, nearly 30 different varieties in fact! Amish paste and Roma (for the sauce and salsa bases) are the only tomatoes we will plant more than 1 of. Fresh sliced Black Krim and Amish Paste tomatoes from the garden. Unbelievable flavor! But the rest of the garden is full of heirlooms like Cherokee Purple, Mortgage Lifter, Brandywine, Chocolate Cherry, Tiger Blush, Seaman, Black Krim and more. Our goal – to have a mid-summer tomato tasting event with friends and family and try them all! The Italian Roaster has become the star of our garden the past two years. The flavor is amazing, and the big, beautiful, thick-walled peppers are perfect fresh or on the grill. We will also grow sweet red, yellow and orange bell peppers, perfect for grilling or fresh eating. In addition, lunchbox sweet peppers stay in the mix.. They are a great snacking pepper. If you follow us,you know we love hot peppers! And yes, our favorite is still the Chinese 5 Color by far. Amazing to eat fresh, or in salsa, salads and more. The pepper is perfect for drying into powder and hot pepper flakes. It is also one of the most beautiful plants in the landscape. 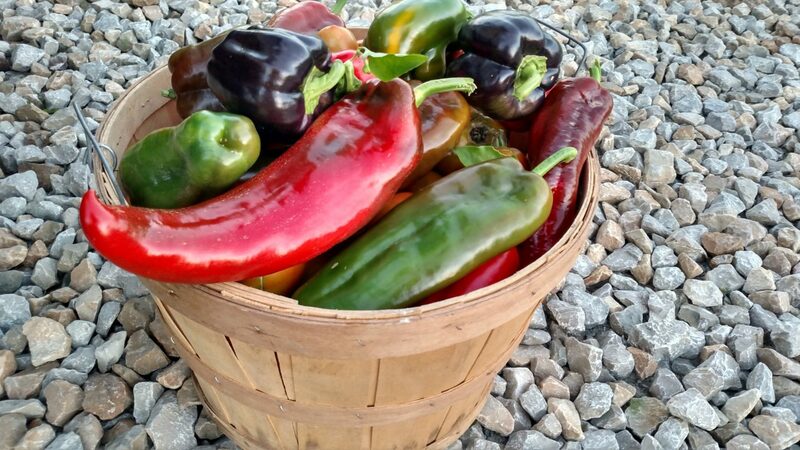 It becomes filled with hundred of 1″ peppers in a gorgeous array of 5 colors. Our other favorite in the hot category is the Cajun Belle. Including the Chinese 5 Color Peppers, we will have 16 varieties of ornamental peppers growing in pots, flowerbeds and hanging baskets around the farm. The rest of the garden is filled with what we love to eat every day! 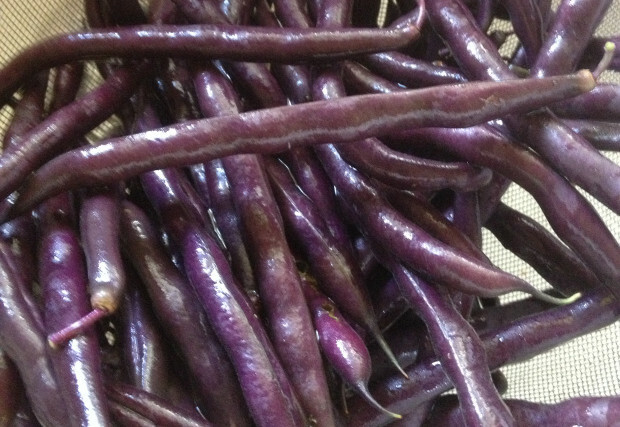 Purple green beans, strawberry and Ladyfinger popcorn, cucumbers, garlic, zucchini and more! We even have a new favorite we fell in love with after purchasing last year at a farmers market – Brussel sprouts! We love them on the grill with just a touch of olive oil and salt or hot pepper flakes. ← Thai Chicken and Zucchini Noodles Recipe, Healthy and Delicious! We plant directly in the ground. We till and add fertilizer then plant a mixture of plants and seeds into the soil. I’ve read about your raised beds and love the idea. Do you still rotate your crops in these beds? Are there community resources (people) I can find that will help plan gardens. We’ve garden for several years now but still have much to learn. My concern is the field behind us sprays weed killers on the corn or beans. There is over spray so that reduces the area for our gardening. So does the layout. Our one neighbor’s yard is higher than ours which causes water to run down into our yard. Is there a person that comes to see the pros and cons of properties and help the owner know where to plant what? Thank you for sharing your journey. I love everything you’ve shared about your buildings and property. So beautiful! So exciting to have this new plan. Can’t wait to hear about the tomato taste test! I bet you’ll be sending care packages to the kids in college. Good Morning, Jim and Mary! This is a sign! I startled awake this morning with a slight panic… I was concerned that I had not done my Garden Plan for the year. Then I check email and this! Time to get busy! Wonderful Post! I am a bit of a pepper head myself but went overboard with habaneros last year 🙂 I have a freezer full of them so I will go on a canning binge and make some sauces. Italian Roaster looks good for a supply of roasted red peppers! I grew the Black Krim and Amish Paste last year as well. I did grow my old standby pasting tomatoes, San Marzano along with them. Amish Paste tomatoes have earned a spot in my garden. 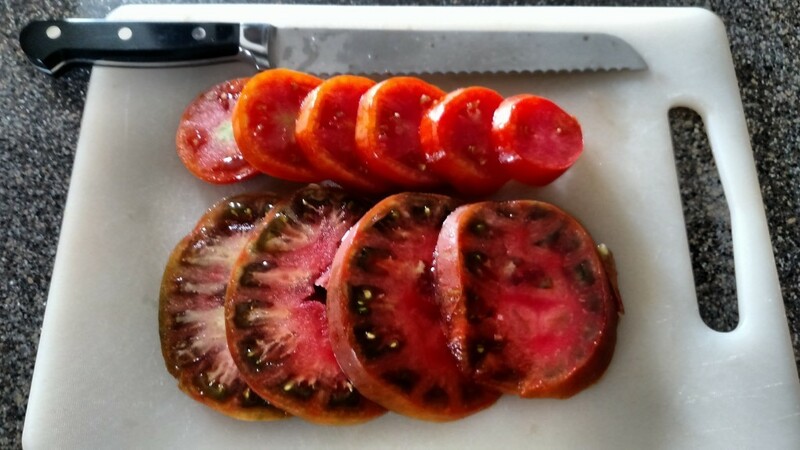 My favorite slicer continues to be the Costoluto Genovese tomato. It is an heirloom and not very disease resistant but the fluted shape is so intriguing! It has been a while since I posted but I read every post!